Our mission at Northern Liberty Press is to create lasting relationships with our colleagues and customers by consistently providing them with accurate information and supplying them with the highest quality products. Northern Liberty Press only uses the best equipment available, managed by skilled & knowledgeable team members. We take great pride in our efforts to provide the best possible experience for our clients, and we plan to maintain our mission and our environmental commitment for years to come. Our attention to a responsible environmental impact has been a priority from day one. We are 100% PECO Wind Powered, and purchase our materials from only the most responsible FSC certified mills. We recycle 100% of our post-production waste at our facility. 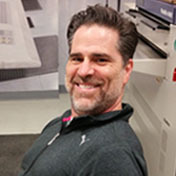 Northern Liberty Press is proud to be a Philadelphia based union printing company. 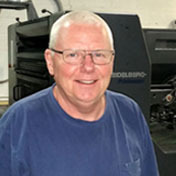 Owner Ken Martz, made the decision to unionize the company over 10 years ago, due to the overwhelming need for a versatile printing company that could service the needs of local unions and politicians while adhering to their vendor regulations. Whether or not clients look for the label, our company and employees will always work hard to maintain our values of integrity, dependability and honesty. Glossy is a division of the company launched in 2014, focused on visual marketing as it relates to printing and graphic design. With an expertise in corporate and social event needs, Glossy is sensitive to the tangible needs of special events. From elaborate invitations to standard signage, Glossy offers a one stop shop to our customers who need to focus on the big picture. Whether clients have in-house design capabilities, or they need help starting from scratch, we can approach a project with a 360⁰ view and guide our clients through the process to completion. We understand the importance of printed materials and want to ensure our clients convey the intended message and achieve their bottom-line goals. 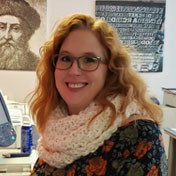 A key member in our process, Tina ensures the quality and accuracy of all files that are created, revised and updated before they are sent into production. Responsible for reviewing job specifications and maintaining customer communication, Tina manages timelines for project completion with care and accuracy with a focus on client satisfaction. 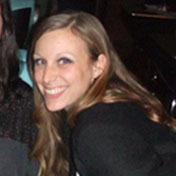 Tina also leads our graphic design efforts from minor edits & adjustments, to designing projects completely.